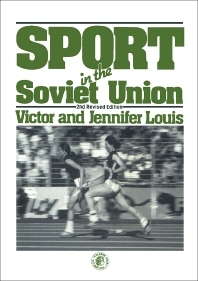 Sport in the Soviet Union, Second Revised Edition focuses on the development of sports in the Soviet Union, particularly noting the sport programs and contributions of sports organizations in the development of sports in the country. The manuscript first offers information on the historical background of sports in the Soviet Union, including contemporary organizations of Soviet sports and sports for children. The text then discusses various sports played in the country. These include soccer, rugby, basketball, volleyball, handball, tennis, table tennis, and badminton. The text also underscores the involvement of Soviets in other sports, such as badminton, skating, gymnastics, track and field, hockey, judo, and fencing. The Soviets excelled in more strenuous sports, such as weightlifting, boxing, wrestling, mountaineering, and cycling. The book also notes that Soviets are also interested in water sports, such as water polo, yachting, rowing, canoeing, swimming, and diving. The book also offers information on the medal tally of the Soviet Union in different Olympic Games. The manuscript is a vital reference for readers and sports enthusiasts wanting to explore the development of sports in the Soviet Union.